It is my honour to be teaching the Reiki Level 3 Master Practitioner Certificate Course. This is a very powerful & magical 3 day Course, filled with so much Master level training. Are you ready to commit to being a Reiki Master Practitioner? Are you ready to be disciplined like never before of your Spiritual, Heart centered wellbeing & practice? Are you up for taking it to the next level & really allowing your true Mastery to shine? Are you ready to walk the talk of your true inner Master? Are you feeling guided to bring through yourself, on all levels, more Universal Light force, more love & abundance of all that you desire to move forward with? This is just part of what you will be receiving on the Reiki Level 3 Master Course. Master Level Sacred Reiki Symbols, these are very strong! 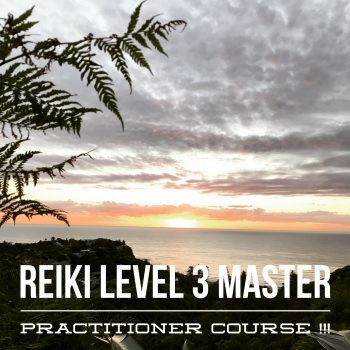 The Reiki 3 Master Practitioner Course – will bring Spiritual body changes, greater self realization& a more profound & enlightened sense of oneness with the Universe/Source. You will receive the full Reiki Level 3 Master Practitioner Atonement, A full Reiki 3 Master Practitioner Manual. 3 full days of learning, discoveries, practice levels of treatments & new Reiki Master techniques. 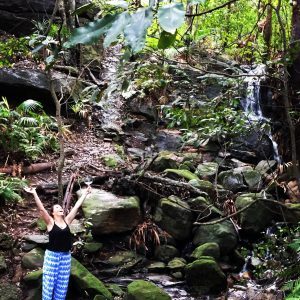 Where: Opening the Reiki 3 circle at a beautiful Rainforest Waterfall, following will be held at: Beautiful location on the Northern Beaches. Address verified with enquires. “I had the honour of completing my Reiki Master course with Terri Lovell. Terri commenced the course with an outdoor meditation which set the tone for the day. Surrounded by lush bushland & the sounds of nature was so amazing. This course took me on journey personally, to delve deep within in order to grow in many ways. The size of the group was perfect which allowed for personal coaching from Terri, along with many opportunities to practise & ask questions. The indoor space the course was held at was so beautifully set up, welcoming & filled with love. Terri ran the Reiki course with such warmth, love, authenticity & kindness. I look forward to learning more from Terri Lovell & highly recommend the Reiki Master Course.” – Natalie, Dee Why.